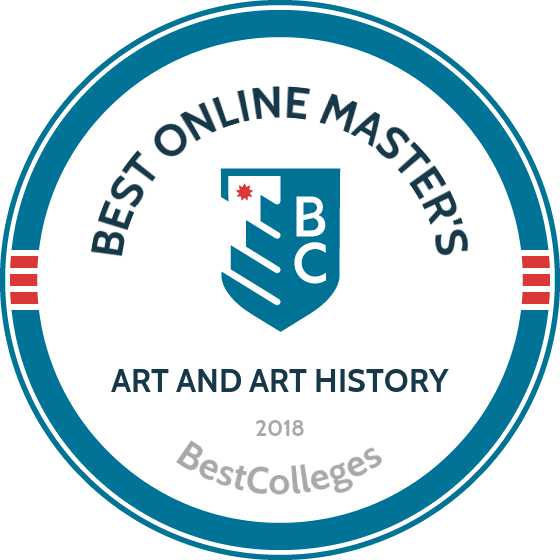 What Are The Best Online Master's in Art & Art History Programs? What Else can I Expect from an Online Master's in Art & Art History Program? Employment Outlook for Master's in Art & Art History Graduates? A master's in art and art history is a gateway into the art world, from museums and galleries, to graphic design and academic research. Art history equips you with a strong historical framework coupled with the analytical, critical analysis, and communications skills necessary to make informed interpretations of artistic developments. These interpretive decisions guide curatorial outcomes, market values, and investigative analyses that dictate the contemporary art market. In terms of job outlook, the growth of related carriers in curation, archives, and museum work is projected at 13% between 2016 and 2026, nearly twice as fast as the average job growth according to the US Bureau of Labor Statistics (BLS). APU is a private Christian university that boasts seven campuses in the suburban Los Angeles area. The school offers a variety of distance learning programs, including a master of arts degree in modern art history, theory, and criticism. This 36-credit program includes the study of 19th-century art, 20th-century art, and art methodologies. Students can earn their degree in as little as 17-24 months of part-time study. Students must also write a thesis and demonstrate basic reading proficiency in a modern European language to graduate. The school recommends that students spend at least 6-10 hours each week on assignments and online class discussions. Online courses are delivered asynchronously, allowing students to complete coursework at their own pace. All online students at APU pay the same tuition rate, regardless of residency. UNK is the only school in the University of Nebraska system to offer an online master's in art and art history program. The school’s master of arts in art education degree offers a museum education emphasis and prepares graduates for careers as curators, museum guides, and museum educators. This 36-credit program can be completed in one year of full-time study. Online courses are delivered asynchronously, allowing students to complete coursework at their own pace. Students may enter the program in the fall, spring, or summer terms. Transfer students may apply a maximum of nine approved credits earned at another accredited institution towards their degree. Applicants must have an undergraduate degree in art education or visual arts to be considered; there is no minimum GPA requirement. FHSU has greatly expanded its distance learning offerings in recent years through its Virtual College. The school offers a 31-credit online master of liberal studies (MLS) in art history program that includes courses in Medieval art, Renaissance/Baroque art, and 20th century art. Online coursework is delivered both synchronously (using internet protocol television) and asynchronously (using CDs and DVDs) through Blackboard. Applicants to this MLS in art history program must have a BA degree in art history or studio art, have completed at least 12 credits of undergraduate art history coursework, and submit an art history writing sample and resume to be considered. This is one of the most affordable art history master's degree online in part because it offers the same tuition rate to all distance learners, regardless of residency. Located in St. Charles, Missouri, Lindenwood is a private college that emphasizes liberal arts educations. The school offers a master of arts in art history program that takes a broad approach to the discipline, emphasizing Baroque art, Renaissance art, and classical myth. Students in this art history master's degree online program can choose to enroll in a hybrid format that includes some on-campus coursework. Those who choose to enroll entirely online can complete coursework asynchronously. All students must complete a foreign language examination in French or German before completing their first 18 credits of coursework. Students may choose between a written thesis or an applied project as a capstone experience. Applicants must have a bachelor's degree in a relevant field with a minimum GPA of 3.0 to be considered. Those who do not meet these requirements must submit GRE scores. NSU operates the eNSU Global Campus, which was the first and largest online school in Louisiana. One of eNSU's strongest programs is its MA degree in art, which includes a focus on fine and graphic arts. The program is characterized as a low residency online program, meaning that students must complete six credits of on-campus coursework in Natchitoches. Students can complete two three-week sessions during the summer and choose to study on-campus during their first semester in the program. All online students pay the same tuition rate, regardless of residency. Online coursework is delivered asynchronously through WebEx, allowing students to complete coursework at their own pace. Transfer students must either have completed an associate degree or completed 18 credits of college credit with a minimum GPA of 2.0 to be considered. Art history master's degrees online are highly individualized programs, and the specifics of the curriculum depend on the focus area you choose. Most coursework focuses on a particular time period or cultural specification, and many programs require qualifying foreign language exams to prepare students for independent research. The following sections explain the types of general coursework and key characteristics to expect in an online degree in art and art history. Most master's level coursework addresses historical and cultural movements or specific communities, such as the Victorian era, 1960s Pop culture, or art of the African continent. Even so, foundational coursework exploring theoretical methodologies and art criticism are integral to the field, regardless of one's particular specialization. The following list details common courses and the resulting skills typical in art history programs. Art Historical Methodologies: Delve into the evolving history of art history, from its beginnings in symbolic and iconographic interpretations, through the political and psychological approaches now dominating the discourse. This class introduces you to field founders like Hegel and Kant, Panofsky and Warburg, and more contemporary theorists like Foucault, Derrida, and Lacan that shape our modern view of the past. Art Historical Criticism: Gain a deeper understanding of art historical discourse through the foundations of art criticism. This course trains students to identify and break down arguments, and form counterarguments. Students edit and refine texts to build critical analysis and composition skills, which are integral to many jobs in the art world. Master's Thesis: Research: Work closely with a small cohort of classmates and your academic advisor to execute individual research for your final thesis. This class will keep you on track as you identify a research topic, compose and submit a thesis proposal, and begin independent explorations. Master's Thesis: Writing: Write independently or in groups in this second half of the thesis process. Expand your thesis proposal into a publishable research presentation, and hone your communication and writing skills in the process. How Long Does it Take to get an Online Master's in Art & Art History? Online programs offer the flexibility to enroll in the course load that best fits your lifestyle and career objectives. Typically, an online graduate degree in art takes between one and a half and two years to complete. The length of time is often dependant upon pre-existing language skills. Do you have the language background necessary to complete your master's thesis research? In most cases, students must demonstrate reading knowledge in the language of the country or community in their specialty (for example, reading knowledge of Italian for students of Italian renaissance art). The challenges of independent research and final thesis composition are also important factors to bear in mind, as the more obscure or theoretical the topic, the more time is potentially required for its execution. Be sure to think strategically about your personal skills and potential career directions when selecting your art history program. Even more important than choosing one's area of specialty is your choice of school. Completing a master's in art and art history at an accredited institution will set you up for success in your future career. Accreditation attests to the value of your education: it declares to potential colleagues and employers that your degree matches liberal arts standards across the country. At present, no specific accreditation board administers to the field of art history; however, all arts programs are protected under general standards set by the US Department of Education. This standardization is maintained by six governing regional boards, including the Middle States Commission on Higher Education and the Southern Association of Colleges and Schools. When choosing your graduate program, check their accreditation to ensure the value of your degree post graduation. The Department of Education is a government administrative body that surveys and regulates education across the United States, from K-12 through higher education. Similarly, the Council for Higher Education Accreditation (CHEA) is a self-regulating consortium of colleges and universities that standardize degree qualifications across post-secondary education. The regulations set by these groups maintain unilateral quality education across the US, and propel academic departments to consistently revitalize curricula in order to maintain competitive standards. To find out more about the qualifications of your potential graduate institution, take a look at the databases of qualifying programs on the Department of Education and CHEA websites. Today's art history graduates find entering the art world increasingly challenging, as a bachelor's degree is no longer enough to attain well-paid, rewarding roles. A master's degree in art history will open doors and increase your earning potential across multiple career paths. As demonstrated in the table below, salaries both in and outside the art field increase by $6,000 to $30,000 between the bachelor's and the master's level. Master's degrees in art history equip students with a deep understanding of cultural and artistic movements and the analytical and writing skills necessary to engage in art discourse. Art historians are attentive to detail, culturally sensitive, and passionate about individual expression, making this degree useful both inside and outside the art world. The following list details various jobs that require a master's in art and art history. Art directors work for magazines, newspapers, advertising companies, web-pages, and the film industry. By orchestrating imagery in multiple media, art directors design company or institution identities, and communicate those identities to consumers. These directors often manage artists, graphic designers, and administrative staff. In addition to the master's degree, this position requires five or more years of previous work experience. Museum curators conceive, design, and execute temporary exhibitions and permanent displays in gallery spaces. This position requires a strong understanding of art historical trends, theoretical methodologies, and research skills. Curators also must be able to communicate to a non-specialist community, bringing locals and tourists alike into the museum. Become a curator of historical documentation as an archivist. Archivists work with all sorts of documentation (including governmental, legal, and personal) in libraries across the world. Archivists organize, research, and publish on historical documentation to increase awareness of historical events and make primary documents available to a wider audience. An art historian works with archives, libraries, museums, and galleries to reconstruct lost, underrepresented, or contemporary histories. This career utilizes skills acquired from the master's thesis to pursue and publish research topics. Most historians work as professional researchers and teachers. These positions often require additional certification or a Ph.D.
Galleries, museums, and auction houses all need sales managers to function efficiently. Put your art historical skills to use as an acquisitions administrator by recognizing quality or rare works of art for personal or institutional collections. Depending on the company or institution, this position may also require an MBA. As you determine how to finance your online degree, be sure to apply for FAFSA, the Free Application for Federal Student Aid. This application will explain the federal assistance to which you are entitled, including subsidized and unsubsidized loans, federal grants and scholarships, and possible work study or internship opportunities. Also, check with your chosen graduate institution for possible department awards, which are typically merit or financially based. Additionally, look for scholarships and grants associated with specific historical fields. For example, students of ancient art history are eligible for funding from various classical and archaeological foundations.